Curtains and other window treatments are a great way to refresh or finish off a room, and often they're easy to sew yourself. They function as a way to control the light or create privacy, but they also show off your style. But curtains aren't only for windows. In this list of patterns and tutorials, yes, you'll find plenty of options for windows, but you'll also find ideas for a shower curtain, your backyard patio, and even in the place of a door! Grab your measuring tape, warm up that sewing machine, and start sewing your own curtains! 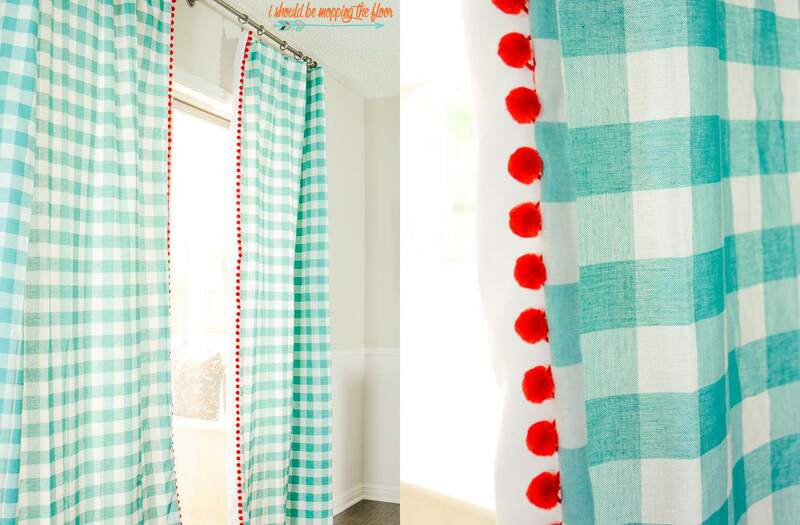 Add a bit of whimsy to your home with these adorable drapes that have pom poms along the edges. Kristi from I Should Be Mopping the Floor started with gingham tablecloths, then sewed on the pom poms while adding a lining. It's an easy way to update a window! Filter out some light with these modern rustic shades made out of burlap. They're basically a rectangle, which makes them easy to sew. And a ring on the bottom of the shade lets you open the shade a bit to let in more light when you need it. Curtains aren't always for windows. In this tutorial, A Beautiful Mess shows you how to sew curtains for an outdoor pergola. They're helpful for creating some shade, shielding you from cooler breezes, and they look romantic, too. 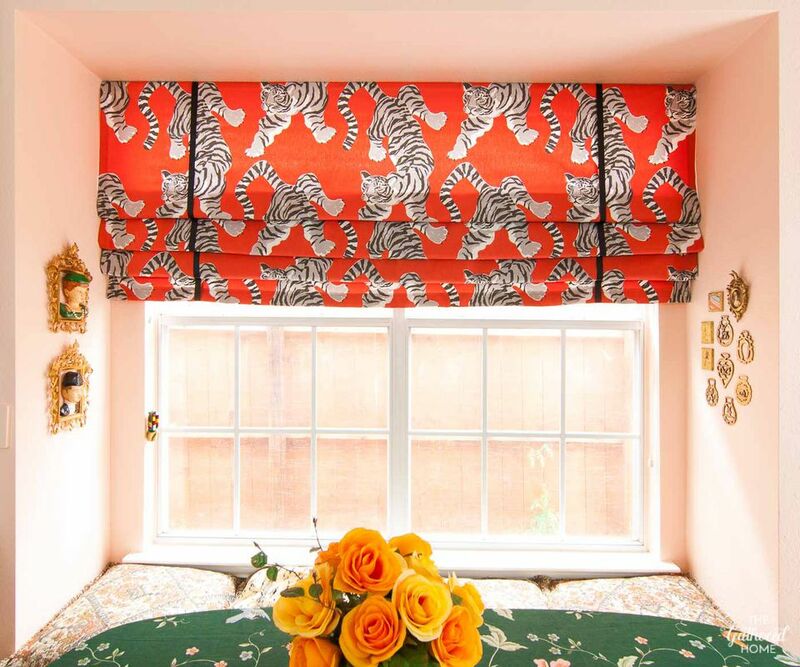 You could even adapt this project to make curtains on a front porch or covered patio. Curtain clips make it easy to hang simple window treatments, but sometimes the result looks a little messy. To fix this problem, Laura from The Turquoise Home shows you how to sew drawstring pleating tape to the top of your curtains. The transformation takes drapes from sloppy to sophisticated! Why buy a new shower curtain when you can make one that's your perfect style? To make this patchwork shower curtain, sew coordinating fat quarters together, hem the edges, install eyelets, and hang it! You can show off some of your favorite fabrics this way and really add a splash to a bathroom. Curtains make excellent room dividers and this Japanese style curtain takes the place of a door. Instead of closing off two spaces, it creates a soft partition that you can still pass through. If you wanted to let more light through, you could use lighter or sheer fabric. If you love the look of roman shades, but don't want to tackle making functional shade, try this tutorial! Brynne from The Gathered Home shows you how to make a window treatment that is stationary but looks like the real deal. It's perfect for windows with other shades or where you don't need to fully cover the window. Her secret? Tension rods! Pleat tape comes in different styles and in this tutorial you can learn how to use the kind that forms pinch pleats. There's even a video to walk you through the process. The result looks so professional that your friends will ask for the name of your decorator! These curtains aren't exactly a fast project, but they will transform a room where you want a luxurious look with a few frills. Making all the ruffles on these drapes takes time, but you do save a lot of money when you start with queen size sheets for your fabric. Add blackout fabric to finish the back and keep out extra light. It can be tricky to choose a covering or treatment for small windows, but this tutorial offers a great solution. Tanya from Dans le Lakehouse shows how she added pockets to the top and bottom of a curtain and then held them in place with tension rods. The gathered panels let in just enough light while giving some privacy in a polished way.